This week is was stitching busy. Sumptuous surfaces online classes by SharonB started this week. I am trying to absorb the lessons on designing and looking at other students work till now. I have progressed some more on my border. 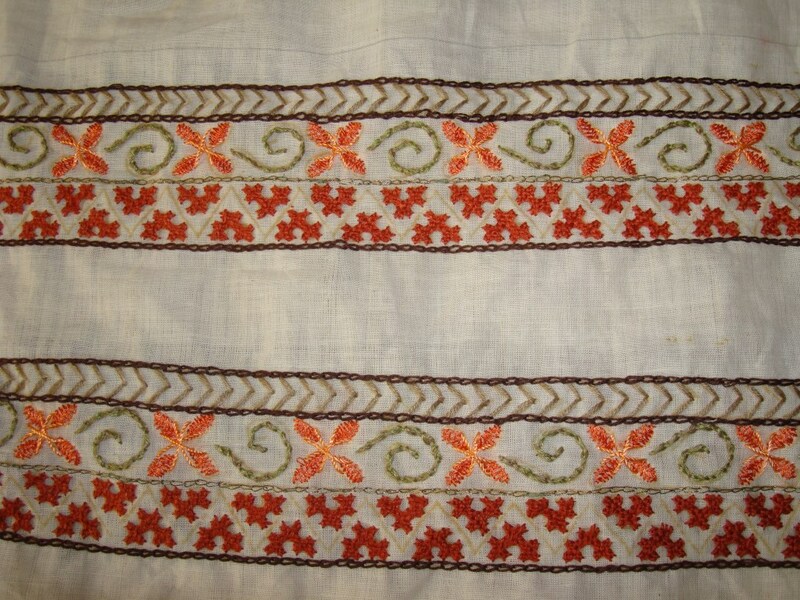 The zigzag lines between the kutch work need to be worked with chain stitch. Other than kutchwork and chain stitches, the other stitches are herringbone filling, rope stitch from TAST challenge in the centre, arrow head stitch, cross stitch variation in the centre of the flowers [?]. 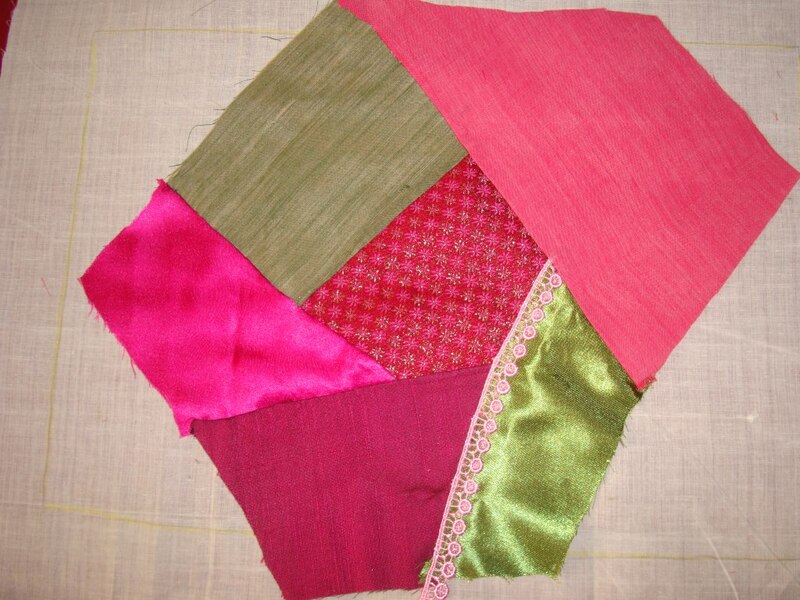 After choosing the colours I have started piecing the block for the first hussif. I started with TAST challenge stitch feathered chain sampler. I‘ll post my progress. Others progress can be seen on SharonB’s blog here. It is worth seeing Sharon’s progress on her hussif sewing caddy.